CBODN - Evening Program | "Design School: OD Principles that Enable Groups to Learn or Change"
Evening Program | "Design School: OD Principles that Enable Groups to Learn or Change"
"Design School: Pinpointing the OD Principles that Enable Groups to Learn or Change"
Two accomplished OD consultants who have many years of OD practice and satisfying colleagueship, believe that their success as professionals depends on their use of a particular type of design thinking, i.e., process design. Based on their experience, they propose that OD design requires practitioners to consciously pinpoint, create, and shape precisely-focused processes, structures, and relationships as scaffolding to guide and encourage people to learn and change. Following their 2015 article published in the OD Practitioner (“Design School: Mastering OD Design Principles Outside the Guild Experience”), they are are now offering design workshops in order to confirm their assumption that there seems to be a surprising gap in the design resources currently available to OD practitioners. If so, the question is, do OD professionals now crave more intentional, explicit, comprehensive opportunities to explore the dynamics of process design? How might we consciously and intentionally become more skilled designers of human process? What might be the most effective way to help both emerging and experienced practitioners develop and refine their own design skills? As a frame for this session, the speakers will also illustrate their own thinking by reviewing Six Design Principles and associated Guidelines that they believe create a predictable framework for guiding small group change. 1. Explore whether conscious, carefully wrought process design is a condition that determines OD success. And if so, how? 2. Identify the application of process design principles and practices with both emerging and experienced OD practitioners. 3. Introduce and explore Six Design Principles for effective small group learning and change, and consider ways to apply these to our own OD practices. Peter Norlin, Ph.D : Current of Principal of ChangeGuides, and formerly the Executive Director of the OD Network, has spent over 30 years in the field of OD. Served as an an external consultant, for a wide variety of clients. A graduate of The Johns Hopkins University Masters Degree Program in Applied Behavioral Science/Organization Development, he also has an M.A. and Ph.D. from Northwestern University. His teaching experience includes faculty appointments at Vanderbilt University, Johns Hopkins University, and Georgetown University. Based in Ann Arbor, Michigan, he is also a professional member of the NTL Institute, and the Treasurer of the International Organization Development Association (IODA). 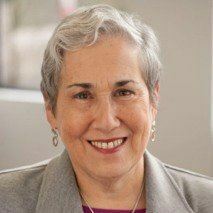 Judy Vogel, MLA: President of Vogel Glaser & Associates. Has been an organization development consultant and leadership coach since 1975, focusing on the design and implementation of customized organization transitions and the creation of collaborative work cultures that foster effective leadership, high employee engagement, innovation and results. Long-time member of the Editorial Review Board of the Organization Development Network’s esteemed journal, OD Practitioner. Member of the instructional team of American University’s Master of Science in OD, School of Public Affairs; she is also the Coordinator of the Professional Facilitators of the Learning Community Time. She is a long-time professional member and trainer with NTL Institute. Judy earned a MLA from Johns Hopkins University and a BA in Education from the University of Pittsburgh.